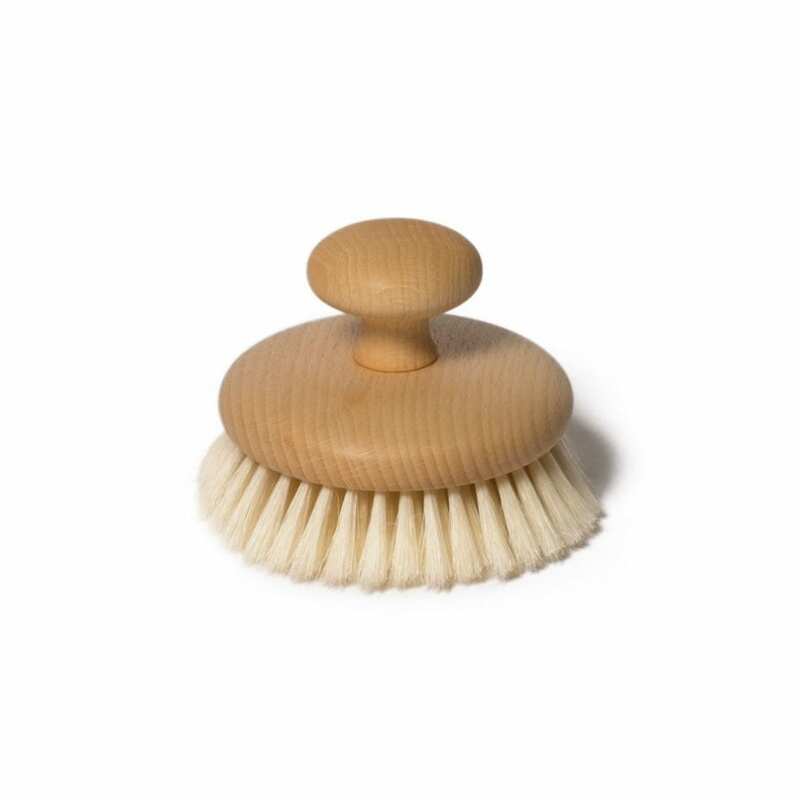 Made from sustainable beechwood, this handcrafted bath brush features natural bristles and an ergonomic handle for a thorough cleanse. Made in Germany. Measures 10cm in diameter.